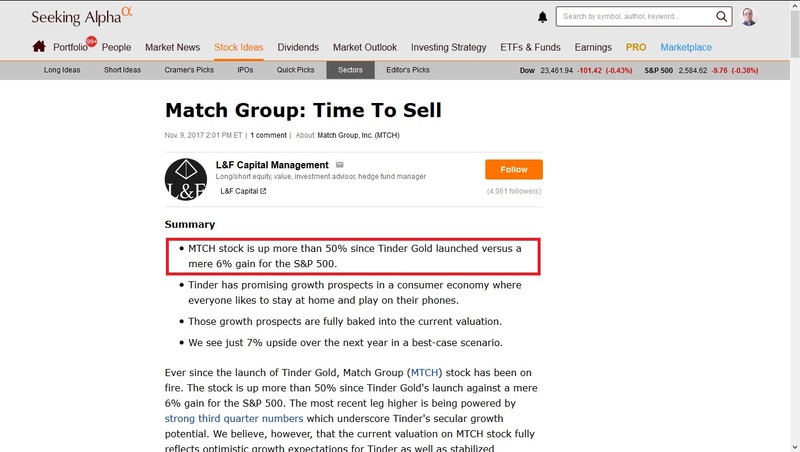 "Breaking the online dating sound barrier": SA article: "Match Group: Time To Sell"
Perhaps Tinder steals paid members from Match, OkCupid and PlentyOfFish, cannibalizing it! 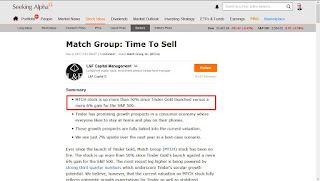 Also Match Group big debt, in the range of USD 1.2 Billion! The Match Group overpaid for PlentyOfFish last July 2015 (It was insane, USD 575 Million for PlentyOfFish that past its prime 3 years ago). Also Badoo and Bumble in big war with Tinder. USA PlentyOfFish (POF) "Online dating scammers threaten to ruin reputations, lives"